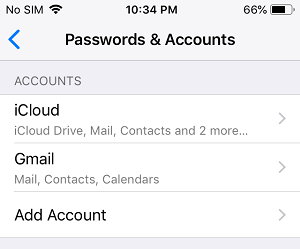 While having multiple iCloud Accounts is not recommended, it is not uncommon for users to delete iCloud Account From iPhone and Add a New one. 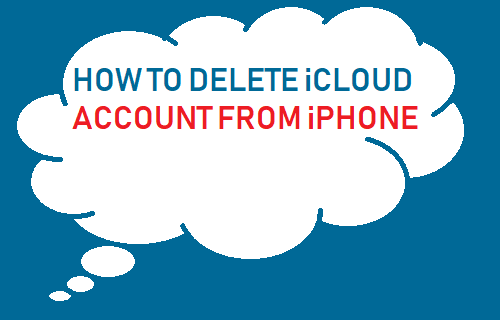 You will find below the steps to Delete iCloud Account from iPhone and switch to a New iCloud Account. 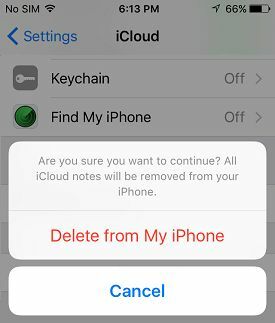 Follow the steps below to remove iCloud Account From iPhone. The same steps can be used on other iOS devices like iPad and iPod. 1. 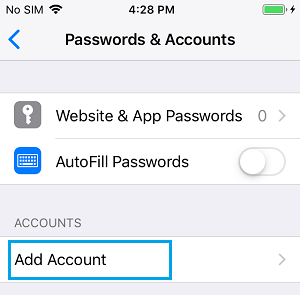 Open Settings, scroll down and tap on Passwords & Accounts. 2. Next, tap on iCloud option located under “Accounts” section. 4. On the pop-up, tap on Sign Out again. 5. You will see another pop-up, asking you to confirm that you do want to continue with the process of deleting iCloud Account. Tap on Delete from My iPhone. 6. You see yet another pop-up from iCloud, this time asking you as to what you would like to do with your iCloud and Contacts Data stored on your iPhone. 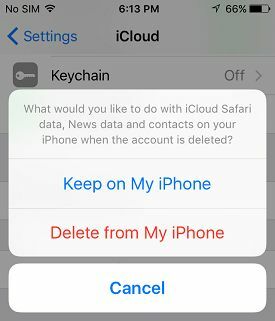 Delete from My iPhone – All your iCloud Safari, News and Contacts data will be deleted from your iPhone. 7. On the Final screen, enter your Apple ID Password and tap on Turn OFF. 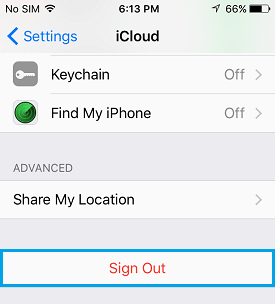 Wait for your iPhone to Turn OFF Find My iPhone and sign you out of iCloud. 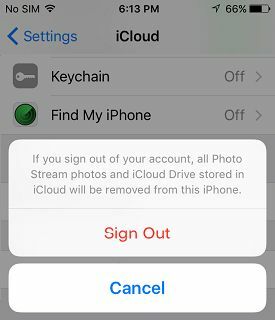 One of the reasons as to why people delete an iCloud Account on iPhone is to switch over to a new or different iCloud Account. 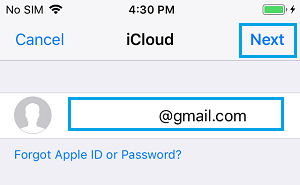 You can follow the steps below to switch to a New or different iCloud Account on your iPhone. 1. Open Settings > tap on Passwords & Accounts. 3. 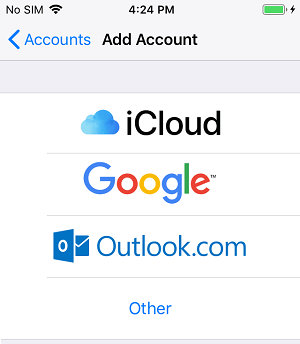 On Add Account screen, tap on iCloud. 4. On the next screen, enter your New Apple ID Email Address and tap on Next. 5. 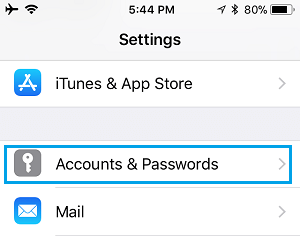 Enter the Password for your New Apple ID and tap on Next. Wait for your New iCloud Account to be added to your iPhone.